Good news for all of us who are still in the holiday mood! We can extend our hotel stay by bringing it home with us. 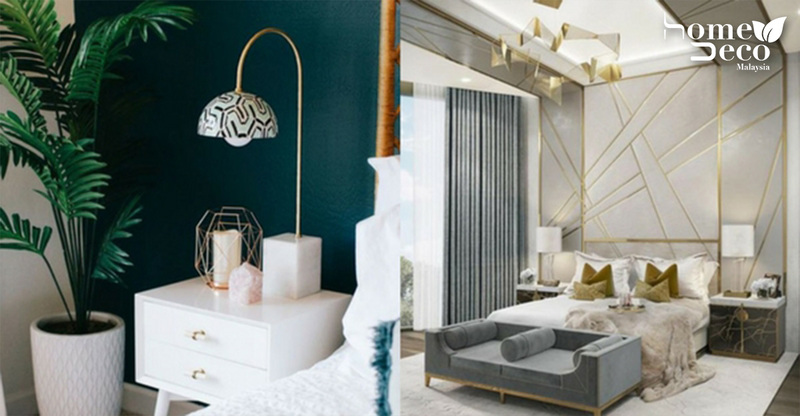 According to experts who style luxury hotel rooms, it is easy to replicate it in our homes and it’s cheaper than we think. Who knew? Let’s see what they have to share to make our bedroom look expensive and luxe. When you look at hotel beds, you’ll notice there are more than two pillows and the colourful extras are usually decorative. Andrew Suvalsky, principal interior designer of ASD, says the pillows for sleeping should be propped up against the headboard and place the decorative pillows at the front according to height. He also adds the pillow stack shouldn’t go beyond a quarter of the total bed length. To make it extra lush, remember to overfill the pillows for ultimate softness. Believe it or not, the shape of our light bulbs and lampshades do play a big part in the house. Suvalsky said upgrading lampshades is one of the cheapest ways to glam up any room. He recommends choosing shades that are taller than expected and to look for cooler colours and fabric. Lampshades with metallic accents help glam up the room too. If you don’t fancy lampshades, install light fixtures that make a statement such as a chandelier. Minimalism isn’t for everyone but not to worry, the “organized clutter” trend is still going strong. The key is to distinguish good and bad clutter. Good clutter is stacks of books and magazines, art propped against the wall and bedside table trays filled with items. Bad clutter is dirty clothes on the floor, unopened mail, paperwork everywhere and messy electrical cords. You can style areas such as the bookcase and make use of hidden storage for extra items. A statement piece in the bedroom does a lot of hard work. A beautiful work of art in a room can lift spirits and put you in a good mood to start the day. It may even inspire creativity. The artworks don’t need to be only paintings. It can just be a statement chair or a nice figurine. Nightstands are often overlooked in the rush of the morning. Here, the mantra “less is more” takes precedent. A common mistake is to overload the nightstand which creates clutter. Always choose functional items that are stylish such as a tray for jewellery or a nice clock. A cluttered vanity table is a huge no-no. With some clever organizing and decorating, the vanity table can be turned into a glamorous spot in an instant. Read Simple Organizing And Decorating Tricks You’ll Never Forget for some ideas. Another quick and simple way to upgrade the look and feel of the room is to add plants. Certain plants can help improve the air quality in the house as well. You can also style it with a pretty vase. If you’re not sure which plants to get, read 5 Super Green Trees To Bring The Outdoors To Your Doorstep and 6 Flamboyant Shrubs To Get For Yourself. A perfectly made bed isn’t enough anymore. The colour of the bedding and design plays a huge role too. Experts recommend layering the bedding but for a tropical country like Malaysia, it’s just not feasible! Instead, try to steer clear of garish prints and patterns to keep it classy.